91 pound Cobia caught in Store Bay, Tobago on August 8, 2018 by Captain Jonathan "Ace" Spiegel (holding the fish) and Emil Hickey (not in photo). PHOTO COURTESY SPIEGEL. 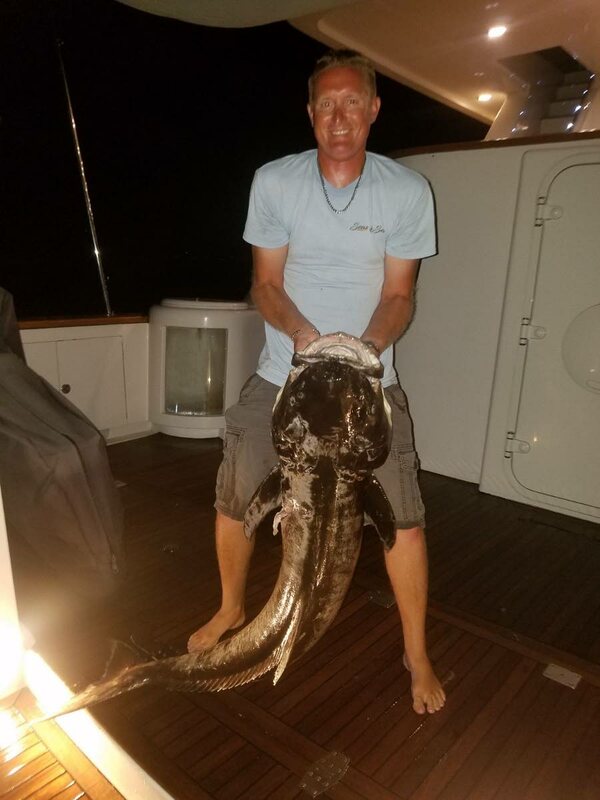 A fish catch for the record books, so says Jonathan “Ace” Spiegel who caught a 91 pound Cobia off Store Bay, Tobago on August 8. Spiegel, a US citizen on vacation in TT, is captain of the 100’ motor yacht Seas To See on which he and his friend from Denmark, Emil Hickey were fishing when they caught the cobia. Spiegel’s scale on the yacht maxed out at 75 pounds, so the men went in search of one that could accurately weight their catch. The photos of their historic catch were taken after was gutted but Spiegel said you can still get a sense of how large and heavy the fish actually was. Having filleted the fish that night, Spiegel and Hickey had some for dinner the next evening. There was lots remaining, so they gave “quite a bit of it” to some Tobagonians they’d met earlier. “We even limed with a family that I had given some to, three nights after. Love Trinidadians! So much fun...I have been a ship captain for 18 years, been all through the Caribbean including Guyana and Suriname (but) Tobago is by far my favourite place I’ve visited out of 18 countries,” Spiegel told Newsday. 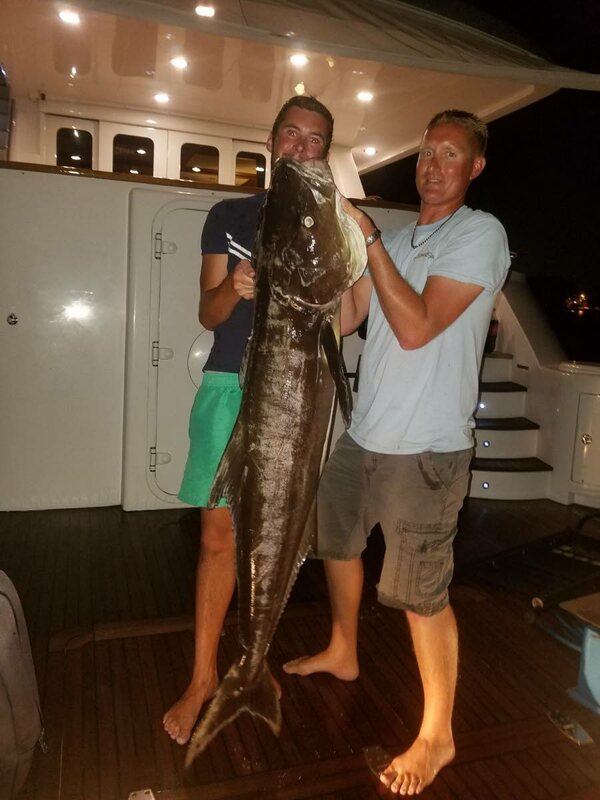 Reply to "Big Cobia caught"